There are two main types of birth control pills – combination or progesterone-only. 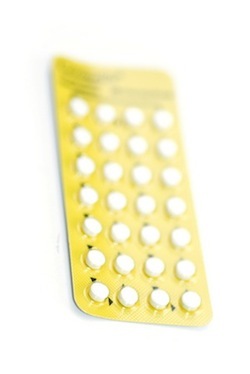 Combination birth control pills contain both estrogen and progesterone. Birth control pills provide a constant dose of reproductive hormones to the body and these hormones prevent pregnancy in multiple ways. Ovulation: Birth control pills prevent ovulation by maintaining a level hormone balance. During a normal fertility cycle, estrogen peaks in the middle of the cycle signaling the production of hormones that facilitate egg maturation and release. While taking birth control, estrogen doesn’t peak so ovulation never occurs. Cervical Mucus: Progesterone thickens cervical mucus to make it harder for sperm to swim. Uterine Lining: Progesterone thins the uterine lining creating an environment in the uterus that is NOT conducive to egg implantation should fertilization occur. It is reported that less than 1% of women will become pregnant while taking birth control over the course of one year if pills are taking as prescribed.